Fuel-cells may succeed petroleum fueled cars. Ever since the 1920s, people have been predicting that the following twenty years would see the end of world oil supplies. 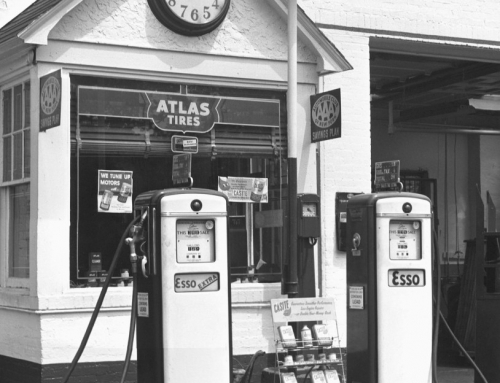 More recently, the energy crises of the 1970s led many of us to believe that gasoline was already becoming scarce. But we now find there are huge amounts of crude oil still left in the earth’s crust. Experts debate how much of the remaining oil can be extracted, but the US Geological Survey’s 1993 review estimated that proven and as-yet-undiscovered reserves amount to 1.6 trillion barrels of oil. Compare that with the approximately 800 billion or so barrels consumed so far in all human history. If all of the estimated remaining oil were used up at the present global consumption rate of seventy million bar rels per day, the supply would last about sixty years. Forecasted increases in demand, anticipating huge expansion in developing countries, make it reasonable to predict that crude oil will become scarce sometime in the middle of this century. However, even when crude oil does become scarce, it is possible that billions or even trillions of gallons of synthesized gasoline could be produced from the abundant global supplies of natural gas and coal. It’s not certain at this time how much those fuels might cost, but the implication is clear: If demand for petroleum-based fuels remains strong, the oil industry will be able to match it for many years beyond the middle of the 21st century. Furthermore, the prospect of future vehicles incorporating electric drive systems means they may be able to integrate with the electricity grid in a novel way: they may be able to supply electricity to the grid, thereby eliminating the need to build new power plants in some areas. Even so, an increasing proportion of the oil and natural gas consumed in the US will be imported. 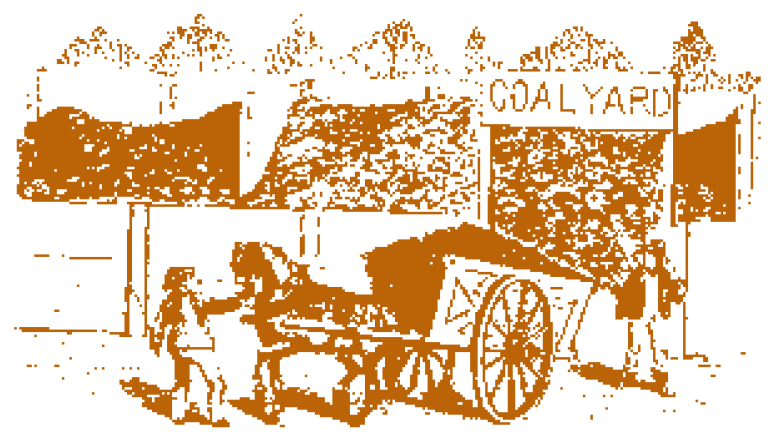 Prior to about 1950, we produced nearly all the oil and natural gas we needed. But imports grew steadily in the period since then, and by 1992 oil imports exceeded domestic production. In 1998, the US imported a record 9.5 million barrels of oil per day—over 55% of total consumption. Increasing reliance on imports contributes to the nation’s negative balance of trade and exposes us to potential adverse economic effects from oil price and supply shocks. When OPEC embargoed sales to the US in the ’70s, the imposed “oil shortage” caused high gasoline prices and long lines at gas stations because we had become dependent on petroleum for transportation. With imports on the rise, the US remains vulnerable to future political instability in the Middle East and other oil-producing regions. Despite this abundant supply of fossil fuels, the climactic implications of burning the remaining vast stores of oil, natural gas, and coal, though uncertain, are potentially dire. Recent analysis of the potential social costs of climate change have shown that when carbon dioxide concentrations reach double their 1990 levels (predicted to happen in about the middle of the 21st century), damages to the economies of both developed and developing nations could be in the range of 1.4% to 1.9% of gross domestic product each year. In any case, oil supplies are finite. Eventually we’ll have to find substitutes, either in response to scarcity or to stabilize emissions of greenhouse gases. But the future is not entirely bleak. Global supplies of natural gas are huge. Existing reserves are estimated at over five quadrillion cubic feet, or almost one million cubic feet for each person on the planet. Already thousands of cars, taxis, buses, and trucks around the world are running on natural gas stored in tanks on board. Natural gas burns cleanly, and thousands of hours of real-world experience have proven it safe. Natural gas is particularly advantageous when used in urban buses and short-haul trucks because, unlike diesel fuel, it produces very low levels of unhealthy particulate matter. The next likely source of energy for vehicles is electricity. Recent technological innovations—including better batteries and ultracapacitors, better electric motors and motor-control systems, and lightweight materials—are leading to the prospect of vehicles that carry stored electricity, rather than petroleum products, on board. The electric energy can be drawn from many sources, such as renewable solar, wind, geothermal, and hydroelectric as well as conventional fossil-fuel and nuclear sources. Initially it is being stored in batteries that act like gas tanks, carried along in the vehicle as it makes its way. Many analysts expect that the technological successor to the electric vehicle with on-board electricity storage is most likely to be the fuel-cell vehicle. Fuel cells are fundamentally different from batteries. Instead of merely storing and releasing electricity, they generate it by converting hydrogen gas and oxygen into water via processes that force electrons to flow. Hydrogen can be drawn from an array of different feedstocks—natural gas, methanol, biomass, and even water converted into hydrogen and oxygen by electrolysis. These several options promise that motor vehicles will become less and less reliant on petroleum-based fuels, while also potentially reducing air pollution and greenhouse gases. But the possibilities presented by widespread use of fuel-cell vehicles are enormous, going far beyond reductions in petroleum use and pollution. Once the national vehicle fleet has been converted to fuel cells, it will become obvious that it represents a tremendous latent electric-power resource. A few bold analysts— including Amory Lovins, Willett Kempton, and Kelly Kissock— suggest that electricity generated by fuel-cell vehicles could be routed directly into homes or into the electric-power grid and used to provide peak power (or even base-load power) for nontransport uses. Cars parked in residential garages could be used to cook dinner or heat the house. When not needed at home, the car’s electricity could be sold to managers of the grid. The current motor-vehicle fleet in the US (about 146 million vehicles) has a total power-generating capacity equivalent to about 14 terawatts (trillion watts). If used as generators, they could produce about 12 terawatts of electric power (generators are about 85% efficient). That’s approximately sixteen times the entire present stationary electric-generating capacity in the US! 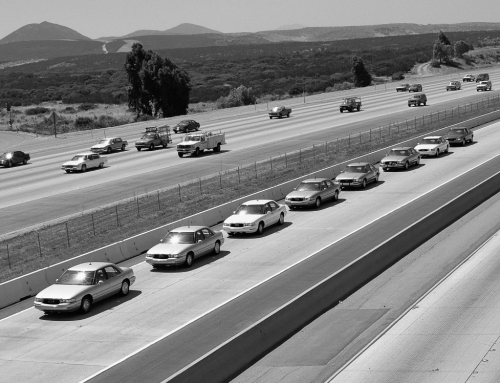 Motor vehicles are driven an average of about one hour a day, so the generating capacity of the vehicle fleet would be idle approximately 95% of the time. A fleet of 100,000 fuel-cell electric vehicles would be capable of producing about 4.8 gigawatts (billion watts) of power for the grid, assuming 50 kilowatts net fuel-cell output of power per vehicle and 95% vehicle availability. Even if the vehicles were available for generating power only 50% of the time, those 100,000 vehicles could still contribute about 2.5 gigawatts. So, if we suppose that half the vehicles in California’s South Coast Air Basin were fuel-cell powered (say by about 2020 or so), with each vehicle able to supply 50 kW of power to the grid half the time, the total generating capacity of these vehicles would be nearly double the present level of installed generating capacity in the entire state. Using fuel-cell vehicles in this way could help reduce the need for additional power-generating capacity to meet California’s expected 1.8% annual growth in demand for electricity (and 1.7% annual growth in peak-period demand) over the next decade. In the shorter term it could make up at least some of the expected electricity-supply deficit of 2.8 gigawatts in 2003 and 6.7 gigawatts by 2007. Figure 1 shows the forecasted electricity supply gap in California from 2000 to 2015. This arrangement would require some additional equipment where the electricity produced by the vehicle interfaces with the electrical grid. However, if “smart meters” could monitor the spot price of electricity and activate the system when the price is right, electricity generated by the fuel cell could be sold to the grid at a profit. Imagine getting a check from the utility company instead of a bill! Particularly with early fuel-cell vehicles, which will be expensive, this arrangement could help to offset some of the vehicle’s cost. For example, a 50 kW automotive fuel-cell system producing electricity an average of twelve hours per day could see a profit of $0.02 per kWh, which would net approximately $4,380 per year for the vehicle’s owner. Emerging technologies hold out prospects for both new types of vehicles and new synergies in energy production and consumption. However, these emerging vehicle types still face several important obstacles, and these hurdles must be overcome if they are to succeed in the marketplace. Some new vehicles, especially battery-powered ones, have attributes that may be unattractive to consumers, such as relatively short driving ranges and long recharging times. Consumers accustomed to the performance of conventional vehicles may be discouraged from buying and using battery-powered cars. Further, new technologies inevitably carry high initial costs because production volumes are low and designs are perfected only incrementally over time. As production volumes increase for such components as batteries, electric motors, and fuel cells, manufacturing costs will decline. However, manufacturing costs for new vehicle types may exceed those of conventional vehicles for some time, resulting in another market hurdle. Our studies at UC Davis conclude that, even in mature, high- volume production, the retail prices for some of these new vehicle types may exceed those for conventional vehicles by at least a few thousand dollars per car. Emerging technologies hold out prospects for both new types of vehicles and new synergies in energy production and consumption. On lifecycle bases, however, costs of batter y and fuel-cell vehicles may become quite competitive with conventional vehicles, even if their initial costs are higher. This is owing to greater fuel efficiency, as well as greater longevity of components and reduced maintenance requirements. So, if battery and fuel-cell cars are to make it in the marketplace, consumers must learn to account for vehicle lifecycle costs in addition to initial purchase prices. When social costs are included—accounting for damages from air pollutants and greenhouse gases, for example—relative lifecycle costs of electric vehicles look more attractive. 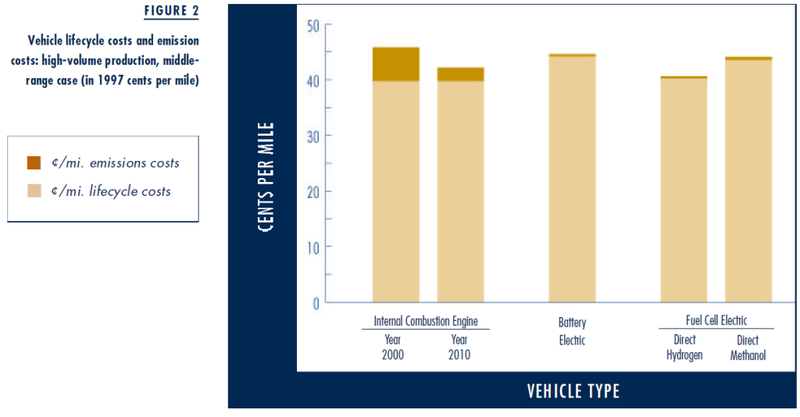 Figure 2 shows total vehicle-lifecycle plus emission-cost estimates for battery-powered vehicles, direct-hydrogen fuel-cell cars (i.e., fuel-cell vehicles that store hydrogen on-board, rather than generating it from a liquid fuel with a fuel reformer), and direct-methanol fuel-cell vehicles (an emerging technology whereby liquid methanol and air are converted directly into electricity, water, and carbon dioxide, without the methanol being first reformed into hydrogen). 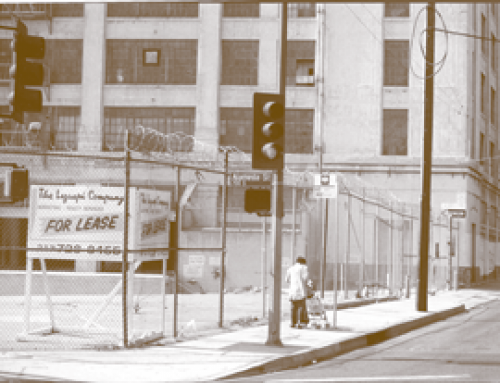 The table assumes high-volume component production and vehicle operation in the Los Angeles area. The figure suggests that hydrogen fuel-cell vehicles may be particularly attractive, with possible total lifecycle and externality costs below even those of low-emission internal combustion engine vehicles. There are, of course, significant uncertainties in estimates of this sort, and Figure 2 shows only one estimate—the middle-range case—from among many other plausible ones. To be sure, these optimistic projections may prove too rosy. 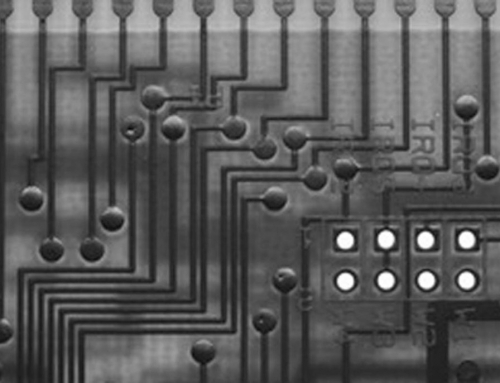 The developmental paths of technologies are seldom either straight or smooth, especially when they run into unanticipated financial and environmental entanglements. Certainly the next research and development tasks are to find a path to economical and safe supplies of hydrogen, as well as to drive down fuel-cell system costs through product and process innovations. The industry must develop the equipment needed to produce hydrogen with low demand on carbon-based fuels and with low environmental damage. And then it must find ways of handling this explosive gas safely. No doubt numerous other troublesome problems will arise along the way. But the potential advantages of fuel cells as clean and reliable sources of power suggest that they are likely to attract the attention they deserve. Because oil resources are finite, they will run out—not soon, but eventually. As supplies decline, prices will rise, creating incentives for alternative supplies of energy, especially natural gas and renewable sources such as solar and biomass. Electric-powered vehicles are already becoming plausible substitutes for today’s internal combustion vehicles. Fuel-cell vehicles are an increasingly promising idea, and they appear to be the likely long-run successors to the petroleum-powered cars, buses, and trucks that dominate our cities today. In the future, integration of fuel-cell vehicles with our electric power generating systems could help to reduce the need for further investments in large-scale power generators, as well as helping to achieve the environmental and social goals of better air quality, reduced emissions of greenhouse gases, and eased dependence on imported fossil fuels. Willett Kempton and Steven E. Letendre, “Electric Vehicles as a New Power Source for Electric Utilities,” Transportation Research–D, v. 2, no. 3, pp. 157–175, 1997. J. Kelly Kissock, “Combined Heat and Power for Buildings Using Fuel-Cell Cars,” Proceedings of the ASME International Solar Energy Conference, Albuquerque, NM, pp. 121–132, June 13–18, 1998. 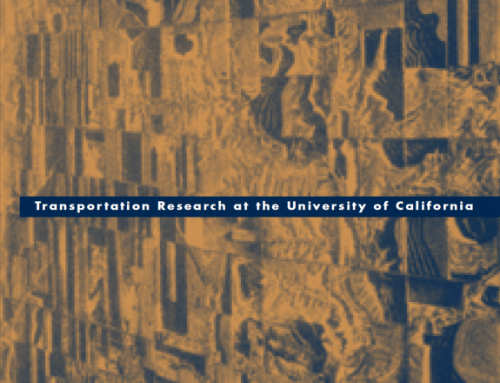 Timothy E. Lipman, Zero-Emission Vehicle Scenario Cost Analysis Using a Fuzzy Set-Based Framework, Ph.D. Dissertation (University of California, Davis: Institute of Transportation Studies, 1999). UCD-ITS-RR- 99-18. Amory B. Lovins and Brett D. Williams, A Strategy for the Hydrogen Transition, Rocky Mountain Institute, Snowmass, Colorado (presented at the Meeting of the National Hydrogen Association, Vienna, Virginia, April 7–9, 1999).